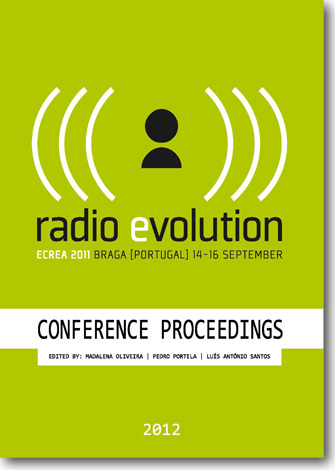 This edited volume is an enduring outcome of the scientific conference Radio Evolution, hosted by the Communication and Society Research Centre (CECS) of the University of Minho, in Braga, Portugal, from 14-16 September 2011. Submission deadline: FEBRUARY 1, 2012. Media technologies play a central role in workplace communication and organisational practices. This issue addresses the ways in which the introduction of (new) media technology contributes to reconfiguring organisational practices. We invite scholars to reflect on the ways in which organisation members appropriate and domesticate media in their everyday workplace communication, whether internal or external, and whether in public or commercial domains. Scholars are invited to focus on the latest media technologies or on the role of media of all kinds in new workplace practices. Concrete empirical analyses as well as methodological and theoretical discussions are welcome. We invite contributions from different approaches within media and organisational studies such as – to mention but a few – science and technology studies, actor network theory, multimodal and mediated discourse analysis, interpretive organisational studies, studies of (re)mediation and medium theory. We welcome contributions dedicated to the study of media and communication from around the world. We are interested in studies in all areas of media and communication research. Contributions may introduce new aspects of media and communication research in the field of political, economic, historical, aesthetic, or social contexts. We are especially interested in articles which promote critical reflection and the further development of theory and method within media and communication studies. For further information about the journal, please click here. For information about submitting a manuscript to the journal, please click here. We encourage readers to sign up to receive information about new publications – please click here.